Human growth hormone supplements contain a lot of amazing ingredients, like amino acids. These are important for human growth hormone production because protein synthesis is the only way your body can produce HGH. Isoleucine is an important amino acid which you need in order to produce human growth hormone, and to be healthy. When you don't get enough of it, it can make you sick. But if you can manage to get an optimal level of isoleucine into your body on a regular basis, it can help you feel healthier and live a longer, happier life. Below, will go into detail about exactly what isoleucine does for your body. We'll also discuss how isoleucine and human growth hormone (HGH) are related. 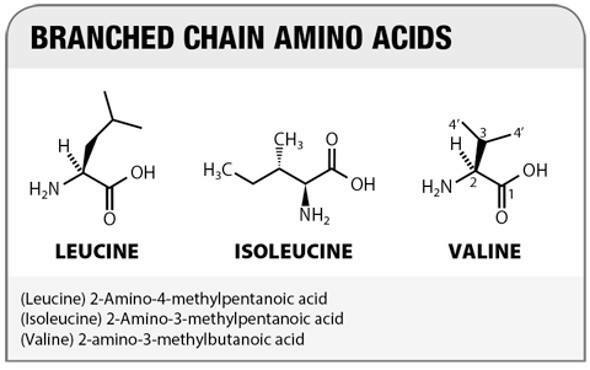 Isoleucine - and it's best friend, valine - aren't just any old run-of-the-mill amino acids.They fall into a special class of amino acids known as branched chain amino acids (BCAAs). these amino acids have a different chemical structure than regular amino acids. And the three most important ones for proteinogenesis are leucine, isoleucine, and valine. Isoleucine is one of 9 essential amino acids that your body uses for protein synthesis. When a nutrient is described as being "essential", that means that your body cannot produce it on its own. You can only get isoleucine through your diet. You'll have to eat protein-rich foods which are high in isoleucine in order to get enough of it. If you follow a regular diet, this shouldn't be too much of a challenge. But if you're diet is mostly plant-based, ingesting enough isoleucine for optimal health may be difficult. Isoleucine, along with valine, perform many important functions in your body. First and foremost, isoleucine is basically muscle food. When you have good amounts of isoleucine circulating through your bloodstream, your muscles absorb the amino acid and burn it for energy (if no other energy sources are available). This is especially helpful for people who exercise frequently because it gives your muscles extra energy during a workout. Isoleucine is also an important part of something called proteinogenesis. This is when your body uses amino acids in order to build new proteins for your cells. Protein molecules are used to help build various cellular structures in every major organ and tissue in your body. Getting more isoleucine in your diet helps boost your energy levels, too. When your body is breaking isoleucine down, it creates something called acetyl-CoA, a helpful little molecule that is involved in breaking down the glucose in your bloodstream. When you break down sugars, you feel more energetic and less tired. But that isn't all you can do with isoleucine. While this amino acid is still in its natural form, your body can use it to make either glucose or what are known as Ketone bodies. Because isoleucine is so important for maintaining proper glucose levels in your bloodstream, deficiencies of it often lead to symptoms associated with low blood sugar levels. Ketone bodies are another source of energy your body uses, especially when you have low blood sugar. As a matter of fact, Ketone bodies are the preferred energy source for your brain. Ketones are highest in people who follow a low carbohydrate diet while also eating plenty of lean protein and healthy fats. Last, but certainly not least, isoleucine is essential for repairing damaged tissues in your body. Obviously, it's great for repairing sore muscles after a hard workout. But it's also useful for other types of wound healing, such as abrasions on the skin. Not getting enough isoleucine can slow healing time and produce the same unhealthy symptoms as having hypoglycemia, which is why it's so important to make sure you are getting enough of it in your diet. 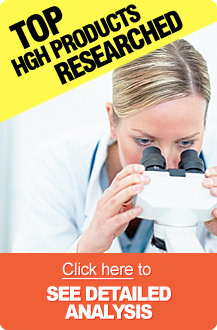 How are HGH and Isoleucine Related? Protein deficiencies naturally lead to amino acid deficiencies in the body. When that happens, you don't have the molecular building blocks you need to generate human growth hormone. This is especially true if you are low in two of the most important amino acids you can get. We're sure you can already guess what the first one is. The other one is valine, which often interacts in tandem with isoleucine. There are many scientific studies that show a strong correlation between drastic deficiencies in isoleucine and valine in people who have a problem naturally synthesizing HGH. In severe cases, this can lead to a human growth hormone deficiency. Symptoms of HGH deficiency include fatigue, slow wound healing, anxiety, depression, decrease libido, problems with sexual function, problems with concentration and memory, and baldness in men. It's even worse in children, due to how important human growth hormone is for helping their bodies develop in a healthy, normal way. It can lead to delayed physical maturity, and may even prevent your child from going through puberty at an appropriate age. They will also be at a higher risk for childhood obesity, and have problems with hair growth and dental development. As we explained earlier, the only way for you to get isoleucine into your body is to get it through your diet. If you want to do it the natural way, you need to focus on eating certain protein-rich foods that are high in this amino acid. Such foods include soy protein, eggs, turkey, lamb, chicken, many different types of cheese, fish, and seaweed. You can also try taking an isoleucine supplement. You can find one at almost any vitamin store, especially in the section for bodybuilding supplements. Because isoleucine is so good for helping the body with muscle tissue and injury repair, many athletes (professional or otherwise) take advantage of the benefits of isoleucine supplements. But bodybuilding supplements aren't the only ones which contain healthful amounts of isoleucine. Any supplement which aims to enhanced levels of HGH in the body should also have a good, solid dose of isoleucine in the mix. Without it, it won't be an effective supplement for increasing HGH. We've reviewed several different products in the market, and we found that some work much better than others. We invite you to surf around our reviews section for more information. And we especially hope that our efforts will lead you to the HGH supplement that most effectively increases your health and wellness.